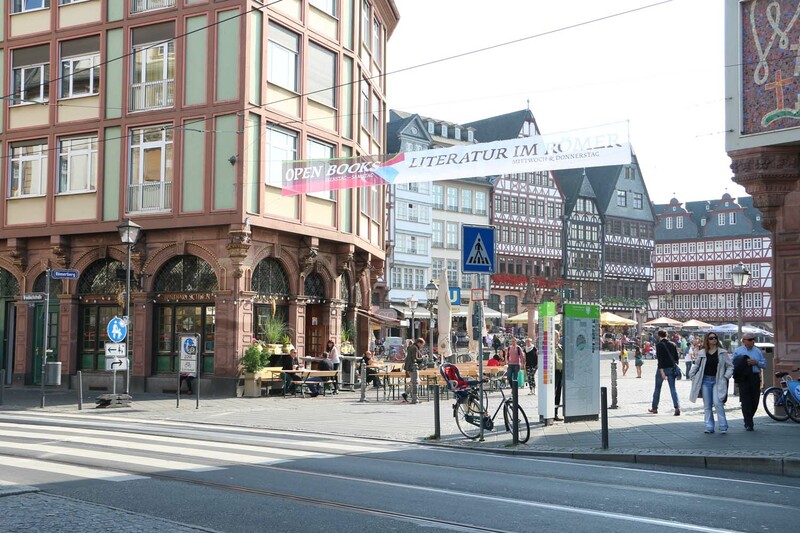 Everyone was telling me not to go to Frankfurt, saying things like, “there is nothing much to see or do”. I must confirm my disagreement. 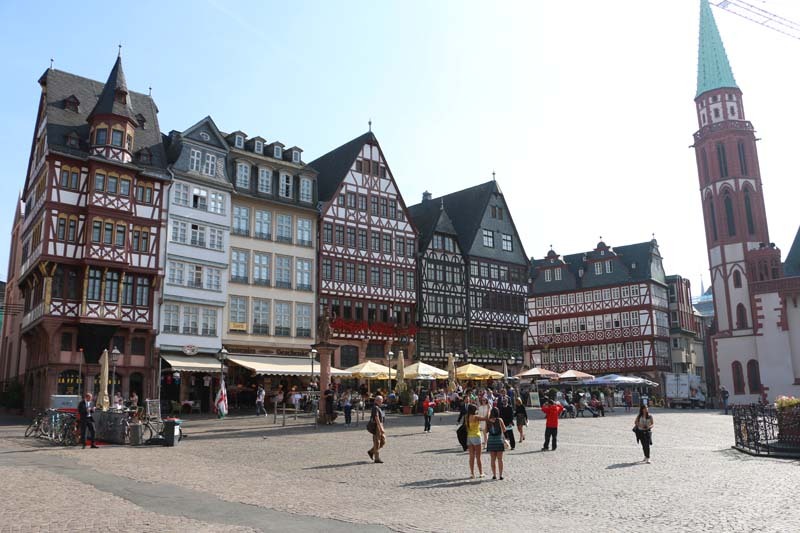 I didn’t spend much time in Frankfurt, but I was able to tell that there is so much to see and explore. It is not at all as empty and lifeless as everyone claims. Maybe in comparison with Berlin, but you can never compare 2 cities, they are just 2 different cities. 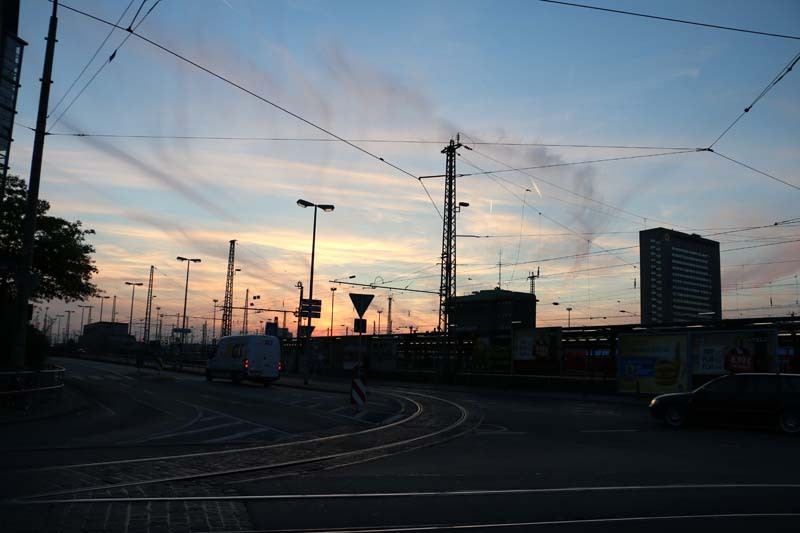 Berlin’s city life is bigger and wilder, but I found Frankfurt to have more character and stillness. I recommend you walk in this beautiful city. It is so spacious it gives a different taste to breathing. 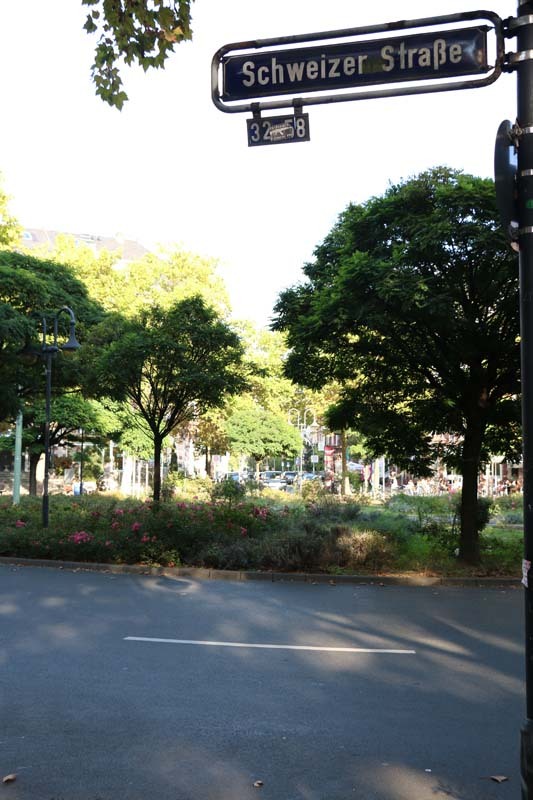 The streets are super clean and super wide, the people are friendly and the city is busy. Things are very basic and easy to get a hold of. I suggest you buy a map, mark some streets, rent a bicycle and just enjoy the city. If you have time, then I would defiantly recommend you explore smaller streets and exquisite shops, I am certain that you will stumble upon some gems. Visit the Romerberg plaza and look for the Romer medieval buildings located in the left bank of the Rhine river. Romer is the name of the family that owned the buildings and sold them to the city council in 1405. This is when it was converted for use as a city hall for 600 years. 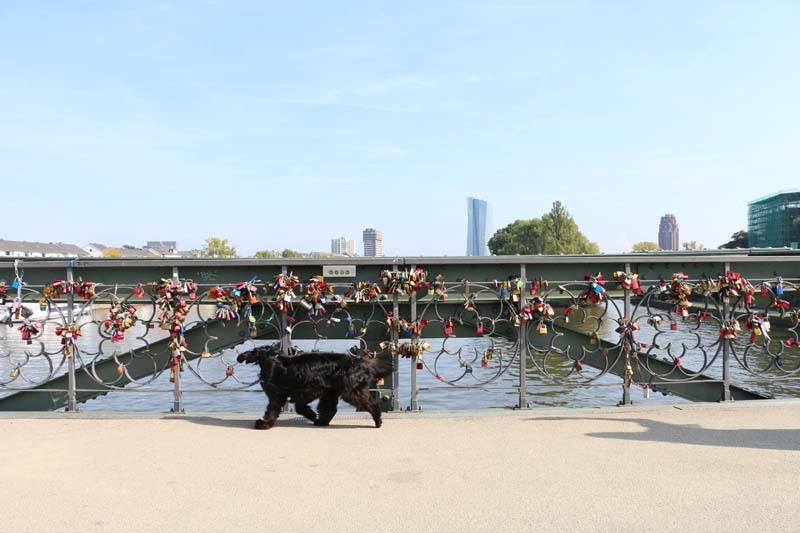 Walk towards the Rhine River across the Love lock bridge or what is also known as the “padlock”, the bridge’s name is Eiserner Steg and it is a pedestrian bridge so you can enjoy the walk or bicycle ride or jog. 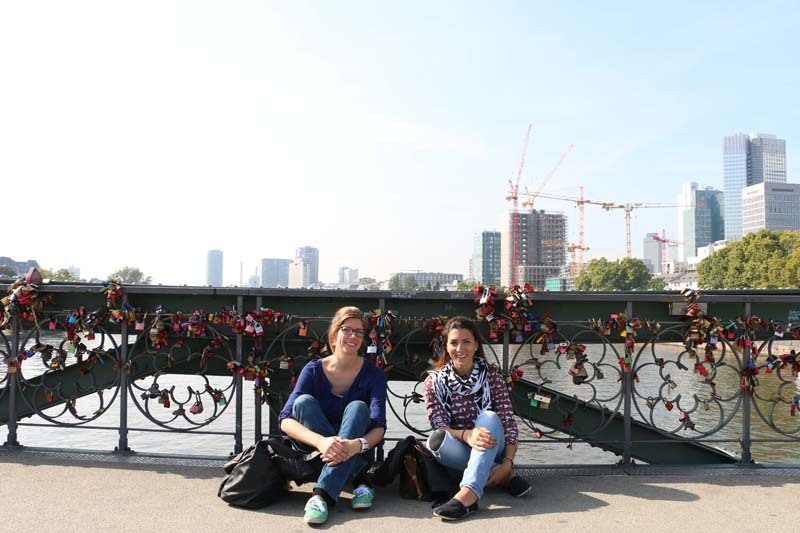 As you cross the bridge, you will reach the other side of the river “Mainufer” with lots of greens and nature. If the weather is nice then you are lucky, shops will be opened, and outside seating will be available. 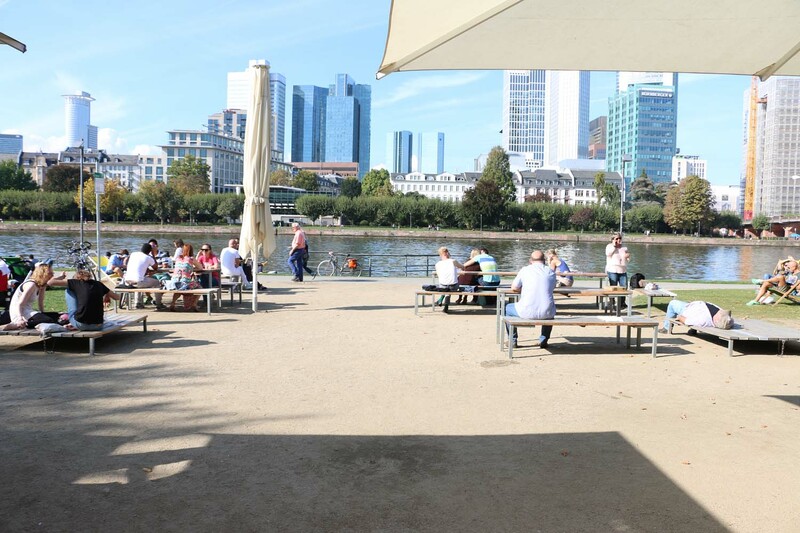 You can have a cold drink by the river, on a table or just on the grass. 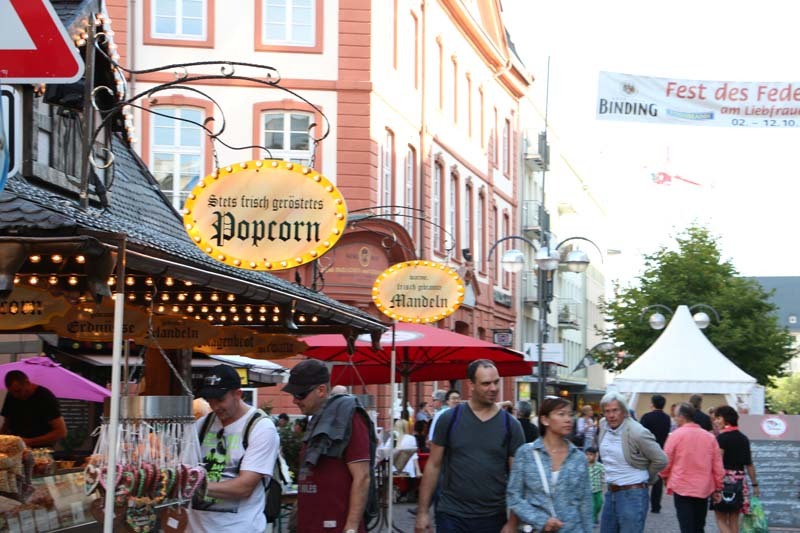 I then recommend visiting Bornheim district, which used to be called “Das lustige Dorf | The merry village” because it used to be the red light district. This is around 120 years ago, it still kept its charms and is filled with bars, pubs and restaurants. I haven’t done much except, walk, breath, meet old friends, and relax in different areas where I found beautiful. A few friends and online research did also recommend I visit the following: Sachsenhausen (old restaurants and neighborhood also known for green sauce and cider drinks), Nizza Cafe, Skyline plaza (recommended in the evening to watch the reflection of the skyline on the river), L’osteria (which I went to and had a gigantic pizza), Shop at Zeil (I also went to and is worth going to if you have time to shop), check out the Oernplatz (old opera house, where it gets busy around lunch break for it is located right in the center of the banking neighborhood) and if you have the time visit the Villa Rothschild Kempinski Hotel which is supposed to be an ultimate experience. I also have this route for walking and shopping, if you would like to try it: Start walking from Fressgrass, to Schillerstraße, to Liebfrauenstraße, Neue Krame, Zeil, and end at Konstablerwache Plaza. Frankfurt food is famous for sausages, kranz (cake) and green sauce (which is only found in Frankfurt). I was not lucky to try any of them, but will sure do on my next visit. I also heard about Tia Emma which is concept store located near by Zeil and Kleinmarkethalle, and for chocolate lovers find where Bitter & Zart is, and let me know how it turns out. If you are fond of museums then you can check the communication museum, film museum, the musemsufer (museum shore) art museums. Museum fur modern kunst building is shapped like cake. The schirn Kunsthalle is smaller exhibition assembly rooms next to the famous Romer and the Alo stadel museum an old one. I was not able to do all the above, but I did type them in because I plan on visiting Frankfurt again and exploring deeper. Please always feel free to comment and add your input. 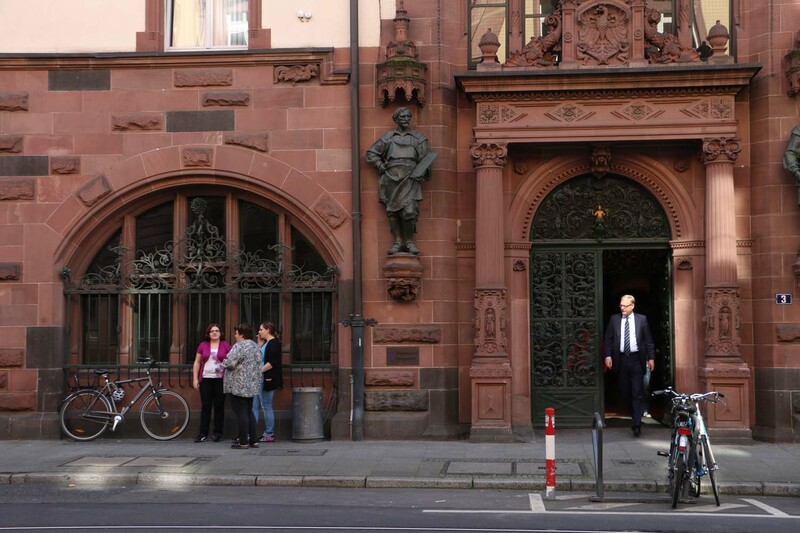 For more pictures and my Morning Diary of Frankfurt click here.